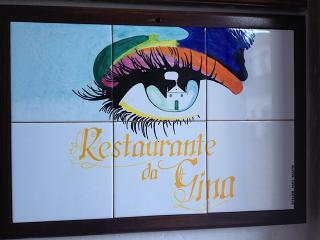 Gina Restaurante is an upscale Brazilian Pizzaria. The menu is in English, Spanish, French, and Italian. The owner of this business recycles, hires local Brazilians, and uses energy efficient light bulbs. All of the paintings and décor around the restaurant were from Paraty. The plants are also native to Paraty.